JASPER -- A Jasper man is in jail this afternoon after police say he head butted his pregnant girlfriend and threatened her with a kitchen knife and it all unfolded in front of the woman’s juvenile son. Police say it happened in an apartment on West Village Court around 4 p.m. Wednesday afternoon. 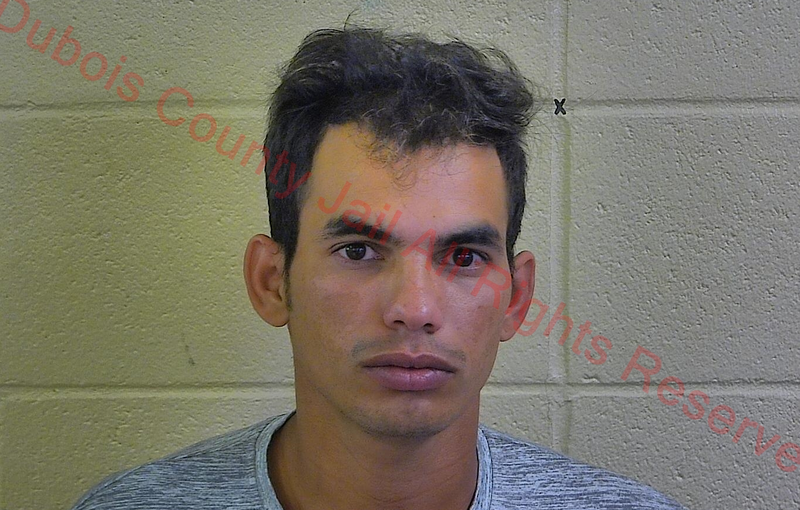 Arrest reports show 24-year-old Jose Rodriguez Martinez of Jasper then allegedly kept the victim from leaving or use her cell phone to call for help. Martinez is charged with Domestic Battery, Intimidation, Criminal Confinement and Interfering with the Reporting of a Crime. He’s being held in the Dubois County Security Center on no bond.